A fat quarter is 1/2 yard of fabric cut in half. 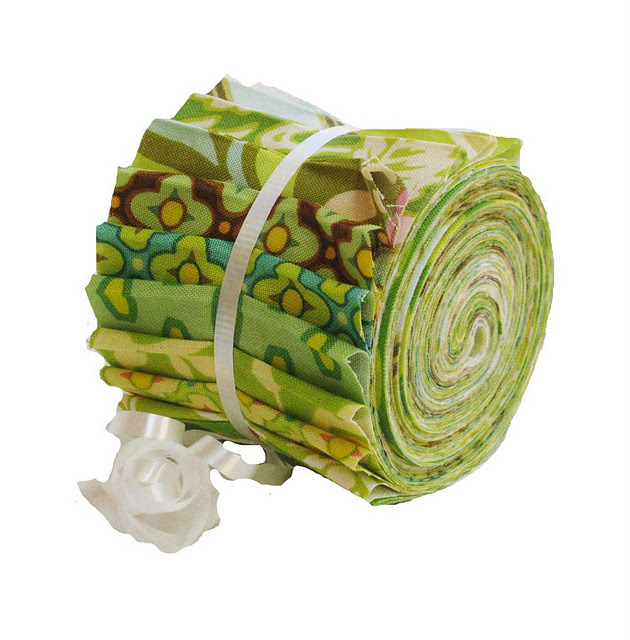 A fat Quarter Bundle contains one fat quarter of each fabric in a collection or line. 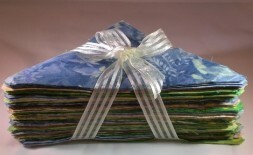 A fat eight is 9" X 22"
A fat Eight Bundle contains one fat eight of each fabric in a collection or line. A Petit Four Pack is made up of a total of 42 - 2-1/2" X 2-1/2 " squares. 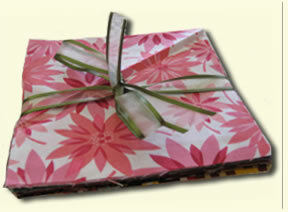 A Charm Pack is made up of a total of 42 - 5" X 5" or 5-1/2" X 5-1/2" squares. 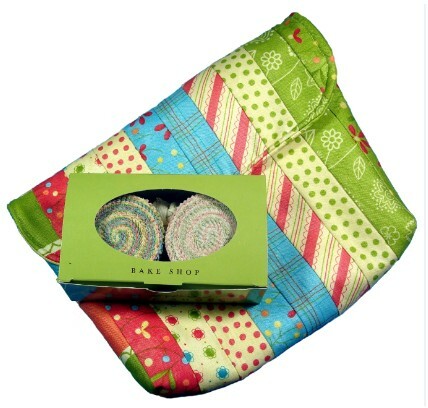 A Jelly Roll is made up of 40 Strips, each of which is 2-1/2" wide by 45"
A Creation Of Moda Fabrics. 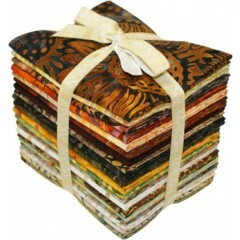 Each strip is 1-1/2" X 45"
Contains approximately 1/2 pound of scraps. 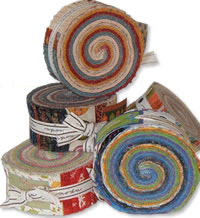 Each bag contains varying width of strips, most are from 2" to 4" in width and varying lengths. Contains 2 Honey Buns from 2 different collections. Contain 80 6" half-square triangles of fabric. Can be used alone and also pair well with 5" Charm Packs.